Now scheduling for the 2018-2019 school year. Email Heidi Schulz to reserve a time. Download a FREE Common Core aligned teacher’s guide for Hook’s Revenge and The Pirate Code. Please click here for a printable flyer—includes scheduling and pricing information. 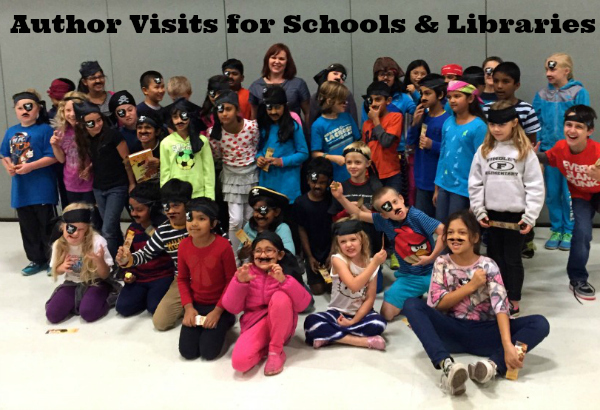 All of my in-person presentations listed here may be adapted as virtual visits. These are full-length presentations that include visuals. If you are interested in booking a Skype session, please read through this section, then click the link below and fill out the questionnaire. I will contact you to confirm. 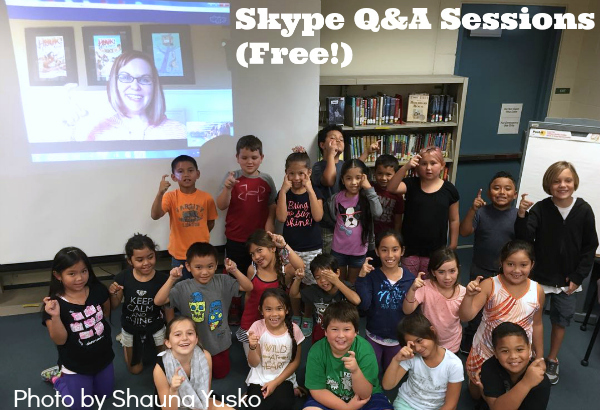 I am happy to provide a free 15-minute Q&A via Skype to your class or group. These visits are intended for groups who have read one or more of my books and, with instructor guidance, have prepared questions ahead of time. I schedule schools every fifteen minutes during the selected time period. These sessions are offered on a first come, first served basis until my schedule is full. Occasional evenings for book club meetings. 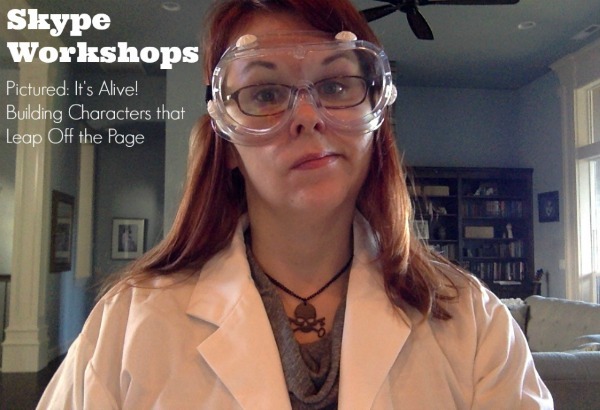 These longer Skype sessions are similar to my in-person author visits and writing workshops. They’re 40-45 minute sessions that begin with a 25-minute presentation on the writing process, using a book of your choice as a focus title and discussing writer’s notebooks, brainstorming, outlining and planning, research, drafting, revision, and the publishing process. We wrap up with 15-20 minutes of Q and A with students. These sessions are available via Skype or other video conferencing services. Or, if you prefer, any of the workshops listed above may be adapted as virtual visits. These are full-length presentations that include visuals. Availability for 2018 – 2019: Flexible. Please request date/time on my Skype questionnaire. I love presenting to writers. Please see a sampling of some of the workshops I have done below. If there is another topic you are interested in having me address, I am happy to develop something for you. Please contact me to discuss. Percy Jackson or Katniss Everdeen: Key Differences Between Middle Grade and Young Adult It is often difficult for writers to determine whether their manuscript should be categorized as middle grade or young adult. Join author Heidi Schulz to learn about and discuss key differences between the two, including how such things as voice, language, romance, and serious issues/content might be handled. Clearing the Air: Writing Middle Grade Humor that Goes Beyond Fart Jokes In this writing craft session with middle grade and picture book author Heidi Schulz, come prepared to learn humor writing techniques, the important role humor can play—even in serious books, and why too much of the low hanging fruit might make you sick. Through the Wardrobe: Writing Settings that Transport Your Reader In this workshop, author Heidi Schulz will teach techniques to make your settings come alive, including: using sensory details, looking beyond the obvious, and observing with your characters’ eyes. Attendees will also explore developing character through the lens of setting. This session is interactive. Please come prepared to write. From Sale to Launch: A Debut Author’s Survival Guide Join author Heidi Schulz for a humorous and informative discussion about everything from announcing your deal to your book’s first sighting on the bookstore shelf. Learn what to expect between sale and launch and how to navigate your way from edits to author appearances, good and bad reviews, and what to do if—no, when—you misspell a name while signing a book. Finding, and Keeping, Your Hook Explore what captures writers’ attention, and keeps their hands on the keyboard, what things threaten to impede creativity, and how to avoid them. Availability: flexible – contact me to request date/time. I love to attend conferences and festivals. 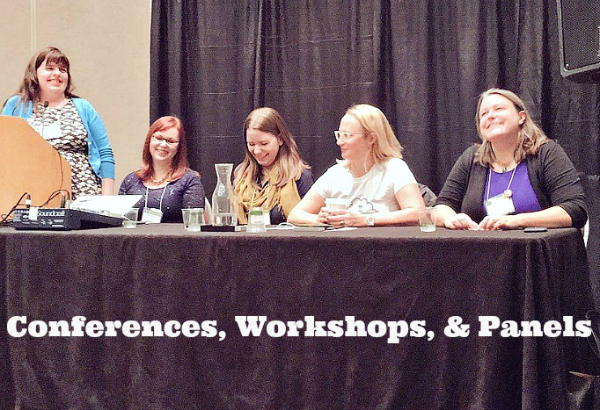 I am comfortable sitting on or moderating panel discussions on a variety of topics, including, but not limited to, writing for children, reimagining classic stories, writing humor, inspiring reluctant readers, and various aspects of writing craft. I am also available for solo or group presentations to adults or children, public speaking, book signings, and more. Please contact me to discuss.